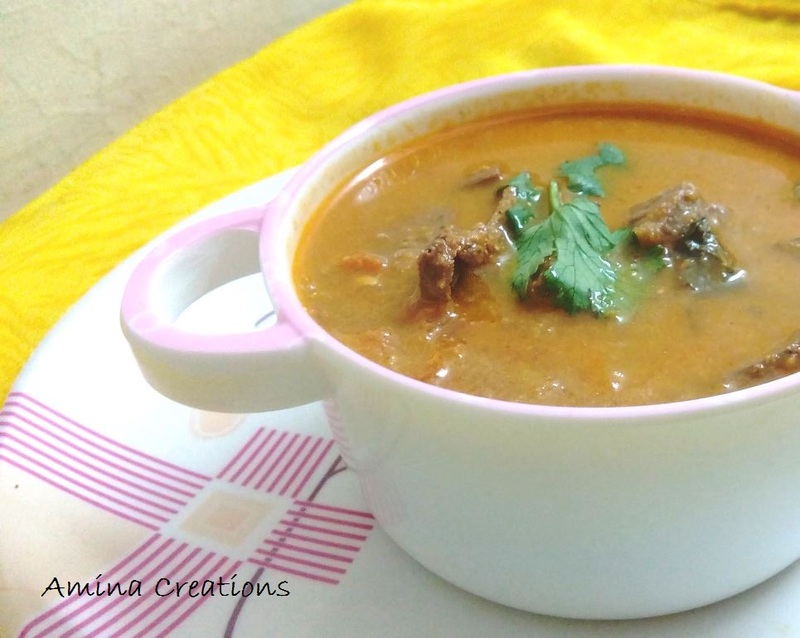 Mutton liver is highly nutritious and is a rich source of proteins, vitamins and iron. 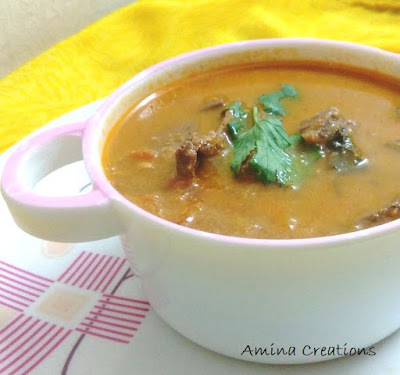 Mutton liver has often been used in Indian cooking for its health benefits and India's mutton liver pepper fry is very popular around the globe. I have already shared a recipe of Mutton liver pepper fry in my earlier post and in this post I am going to share the recipe of a curry made with Mutton liver that my mom often prepares at home. We usually have this with white rice for lunch and it is simply delicious. Wash and clean the mutton liver pieces and keep ready. Heat oil in a pressure cooker, add cardamom, cinnamon, and onions and saute till the onions turn soft. Add coconut paste, curd and 1 cup water and bring to a boil. Add coriander leaves and the mutton liver pieces and mix well. Once all the steam has come out, open the lid and check if the mutton liver is cooked. Cook for a few more whistles if not. Hi. That's a wonderful recipe. Will surely try it. I never thought of making this curry. Usually we just have those pieces fried. This recipe looks easy as well so will definitely try it. Very different gravy.. I usually make bhuna or with brown onion gravy. Do try it out Shobhaji, this tastes wonderful and is really quick to prepare..